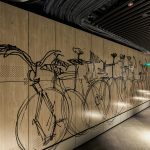 Spicers Retreats pride themselves in providing boutique experiences at their hotel retreats and with this project, Spicers set out to create a ‘flagship’ hotel experience in Sydney. IA Design were engaged to work closely with the Spicers project team, led by Coop Creative, and construction partner Built to develop options for the selected Potts Point Properties. A challenging project, the three Heritage listed properties were riddled with planning controls, previous unsympathetic additions and poor conditions to the existing building fabric. Innovative approaches to fire separation, acoustic design and access were required to maintain the heritage character while still providing a high end, boutique hotel experience. The final design saw the stripping back of the three buildings to their original heritage beauty. A new three storey rear addition was designed to provide additional space and accessible access. The original courtyard was converted to a dining area, incorporating an innovative garden roof that brings privacy to the rooms above and greenery to this one of a kind urban location. 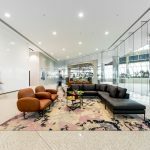 The completed Hotel has proved itself to be a very popular boutique luxury destination, providing a calm retreat on the edge of Sydney’s Heart.